As the crisp fall air ushers in a new season, many gardeners may be left wondering: what now? Here at GMG we asked a few garden experts to weigh in with their tips on the best things you can do this fall for a fabulous garden next year. Check them out and let us know your favorite tips! “Once you know what you want to add, plant new perennials and shrubs in the fall, and you will have larger, stronger plants with better blossoms next spring,” adds Nauseef. “Fall is an excellent time for planting, and roses are no exception,” says Steve Hutton, plantsman and president of The Conard-Pyle Co.
No matter what you’re growing, a sudden frost or freeze is deadly, spelling doom to your garden and landscape. Protect your lush flowering baskets, vegetables, herbs and favorite plants from Jack Frost with FreezePruf. This non-toxic spray can increase a plant’s tolerance to cold and protect home gardens from damage caused by cold. This means gardeners can get a couple more weeks of growing and harvesting – at least two weeks earlier in spring and two weeks later in the fall. Sounds good to me! 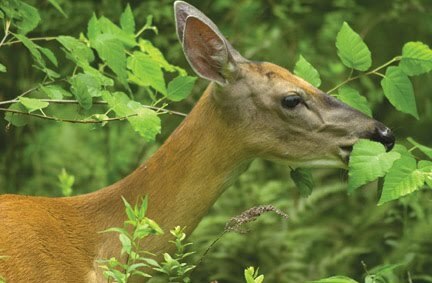 To keep deer out, look for all-natural products, like Liquid Fence Deer & Rabbit Repellent, that use taste and scent aversion to turn animals off your plants and make them unappetizing to common garden-munchers. According to the “garden accessory connoisseurs” at Campania International, a little care will help your garden "art" last for generations. Cast stone planters and statuary should be raised off any surface, which freezes and thaws. Terra cotta planters, which can absorb moisture and are subject to winter freeze-thaw cycles, should be stored indoors for winter. If your planters are left planted outside over the winter, raise them off the ground so they will drain and not freeze to the surface. To winterize both cast stone and terra cotta accessories, simply place them on two pressure-treated wood strips, making sure not to block the drainage hole. I love my yard but i can't bring myself to winterize everything myself. I have been using landscapeplus.com to get my garden ready for the fall every year. They always do a fantastic job on my landscape. I love your "Winterize accessories" concept in this post. 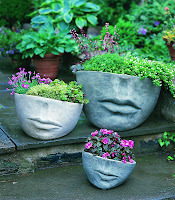 I would like to make this type of accessories in my garden. So please give us brief about it. You can protect your garden with some motion sprinklers or repellents from outside pests.